Cutiwhite capsules is nutritional supplement for skin whitening & for healthier & glowing skin. 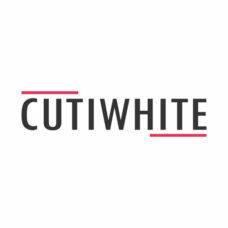 Cutiwhite contains L- glutathione, grape seed extract, vitamin c, used as nutraceutical supplement as skin lightening. 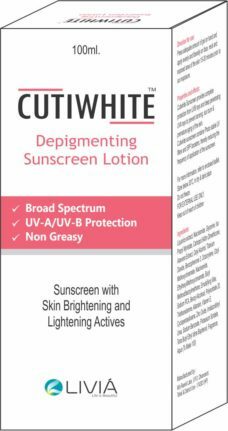 Cutiwhite provides protection against UV damage and photo aging. The unique formula also prevents damage and repair of skin. Grape seed extract along with vitamin c regenerates collagen and shields from free radicals. Cutiwhite SPF 30 Lotion is a unique encapsulated sunscreen lotion of the next generation, ensuring prolonged and consistent SPF values. 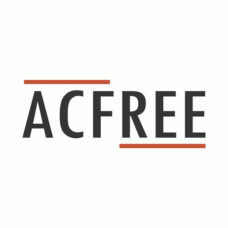 It is a broad-spectrum sunscreen that provides 100% protection against 250-380 nm UV radiation, more than 90% protection against 380-400 nm and fights skin aging free radicals. This medicated soap offers the relief from eczema and itchiness which is observed by using other soaps. 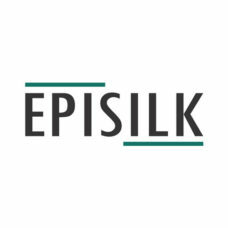 This soap offers protection and recommended for dry and sensitive skin and also available for babies as Episilk baby soap. 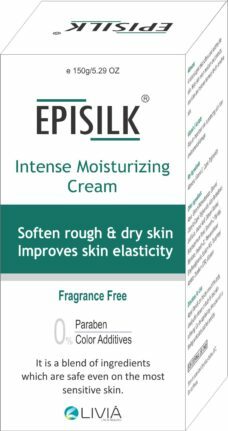 Episilk is intensive moisturizing cream and a lotion with highly effective active ingredients like Glycerin, Aloevera, Almond oil, recutta extracts and natural oils. This formula helps to transform dry stressed skin into smooth, fresh, hydrated skin and maintains skin’s hydration levels longer than those maintained by normal moisturizing creams, the active ingredients regenerate, restore and strengthen the protective barrier of skin and prevent depletion of moisture. Hydratant cream offers aloevera which helps in reducing inflammation and marks on the skin. 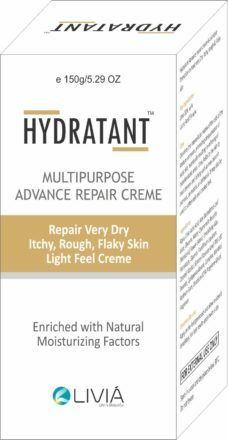 Hydratant cream protects and repair the skin and suited to all skin types. 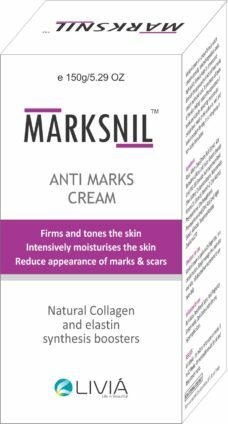 Marksnil cream should be evenly applied and gently rubbed into the scar/marks once daily for 8 weeks on newer scars and 3-6 months on older scars. Begin using Marsknil as soon as new skin has formed, typically two or more weeks after the injury or surgery. Make sure the scab has come off naturally and any stitches have been removed. On older scars you may start using Marksnil immediately.